Glastonbury veteran Baaba Maal has become Oxfam’s newest Global Ambassador. The Senegalise singer will be joining Oxfam’s other high profile Ambassadors to campaign, fundraise and generate publicity for Oxfam around the world. 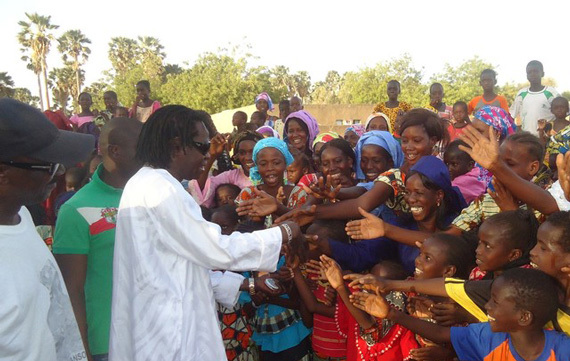 Eighteen million people are threatened by the food crisis in the Sahel region of West and Central Africa, 850,000 of whom live in Baaba Maal’s home country of Senegal. The food crisis which has been brought about by low rainfall, poor harvests, a lack of pasture and rising food prices, is only set to escalate. The UN estimates that already 6 million people are already living in severe food insecurity across the region, and that one million children are at risk of severe acute malnutrition.